The Advocacy and Outreach Committee is comprised of two subcommittees: Advocacy and Outreach. The Advocacy subcommittee is responsible for promoting advocacy in response to legislative issues that may impact archives, diversity, and the role of archives and archivists within society. The Advocacy subcommittee will facilitate access to resources that will aid archivists in advocating for the profession and collections to administrators and institutional stakeholders. It also communicates news from the National Coalition for History. 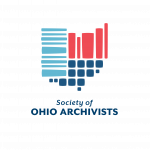 The Outreach subcommittee is responsible for advocating the importance of archives throughout the state of Ohio through programmatic planning such as Statehood Day, Archives Month, and the I Found it in the Archives contest.